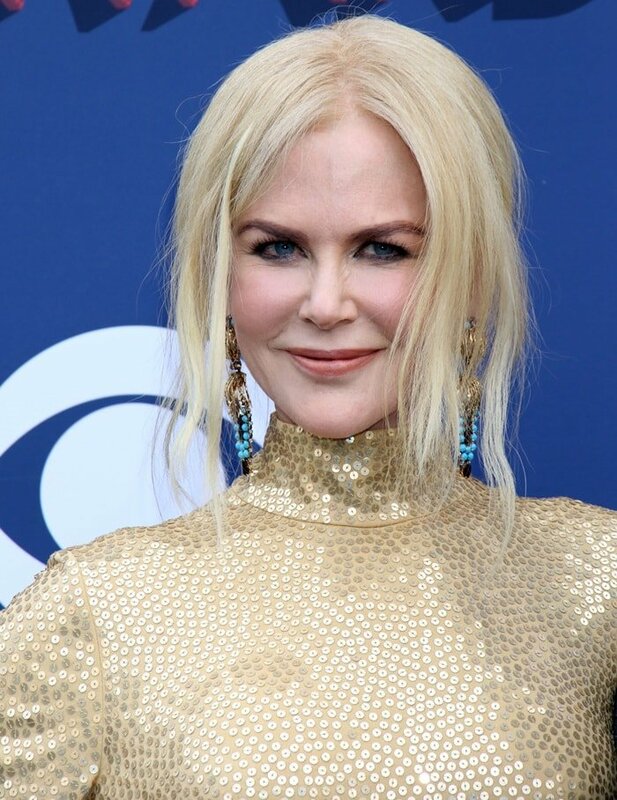 Nicole Kidman joined Hillary Scott, Charles Kelley, and Dave Haywood at the 2018 Academy of Country Music Awards on Sunday at the MGM Grand Garden Arena in Las Vegas. She was there to support her husband, Keith Urban, who performed his song “Coming Home” with collaborator Julia Michaels during the show. 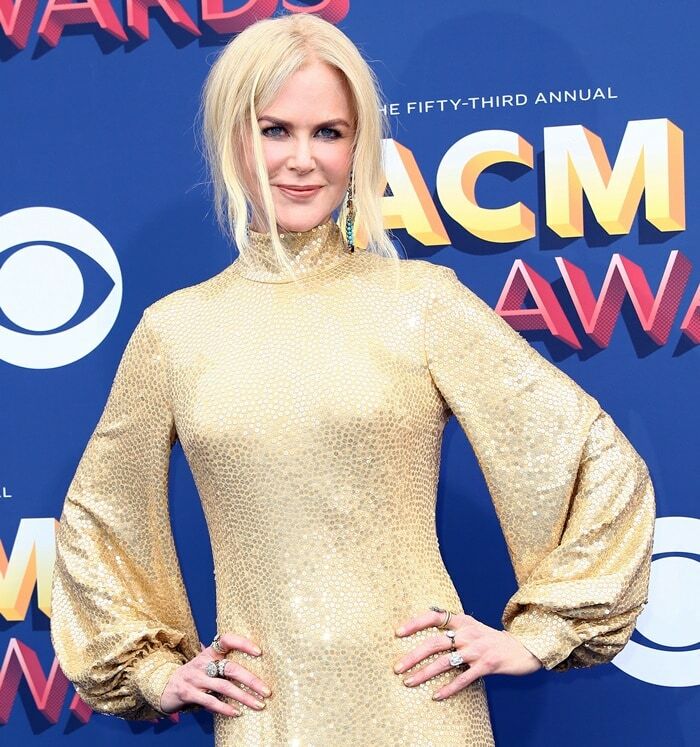 The 50-year-old Australian actress, producer, and occasional singer looked washed out in a custom gold sequin dress from Michael Kors Collection featuring a high neckline and a cutout back. She completed her outfit with a bag and shoes from the same designer and Fred Leighton jewelry. Perhaps Nicole should consider hiring a new stylist from Stitch Fix?